The Jones Act is a law enacted by Congress that provides protection to persons who are members of the crew of a ship or a vessel (also known as “seamen”). Benefits are available if they become injured or die as a result of their work. This specific act, which is part of a larger group of laws known as maritime law, was created to give seamen special remedies because of the perils they face at sea. Workers who are covered by the Jones Act include inland river workers, as well as offshore workers who work on a jack-up rig, semi-submersible rig, barge, drill ship, tugboat, tow boat, crew boat, dredge, cargo ship, fishing vessels or other moveable vessels. The Jones Act attorneys at Neblett, Beard & Arsenault have handled hundreds of Jones Act cases resulting in numerous large settlements and verdicts. Attorneys in our firm regularly teach at maritime seminars and have written numerous articles regarding the Jones Act and maritime law. Our experience representing hurt seamen, as well as the more than 30 years we have spent helping injury victims across Louisiana, gives us a key advantage in arguing these complex cases. If you or a loved one has suffered injury while working as a seaman, contact our firm by calling 1-888-975-1728 today or submit an online request. We have helped injured seamen from Baton Rouge, Shreveport, Lake Charles, Monroe, Lafayette, Alexandria and across the state of Louisiana. The main difference between Jones Act and other work injury claims is that most injured workers cannot sue their employer for injuries sustained in the course of their job. Seamen, however, can file a claim if they can prove some negligence or fault on the part of the vessel’s owners, operators or fellow employees. Employees may also have a claim under the Jones Act if they are injured because of a defect in the vessel and/or its gear and tackle, rendering the vessel “unseaworthy” (unsafe, unsuitable for the work required, or staffed by crew members who are unqualified for the work required). “Maintenance and cure” – the financial equivalent of the room and board he or she would normally receive at sea, plus medical treatment. Legal claim for damages due to negligence. 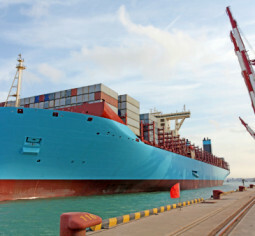 If you have been injured while working on the water, you need the assistance of a law firm experienced in Jones Act and other relevant maritime regulations. The Jones Act lawyers at Neblett, Beard & Arsenault can help. Our attorneys have the resources and experience to prepare an effective case strategy for you and your family. Results are how we measure success – we’ve built a strong reputation both in and out of the courtroom, and we’ll put our experience and expertise to work on your behalf. If you or a loved one has been seriously injured while working in a profession covered by maritime law, take the first step to protect your legal rights – contact the Louisiana Jones Act attorneys at Neblett, Beard & Arsenault. You only have a limited time to file a claim, so you must act quickly. We have helped injured seamen from Baton Rouge, Shreveport, Lake Charles, Monroe, Lafayette, Alexandria and across the state of Louisiana. Call 1-888-975-1728 today or submit an online request. With over 25 years of experience, Attorney Wesley Gralapp helps personal injury victims throughout Louisiana.